MicroRNAs (miRNAs) are small noncoding RNAs involved in the posttranscriptional regulation of messenger RNAs (mRNAs). Each miRNA targets a specific set of mRNAs. Upon binding the miRNA inhibits mRNA translation or facilitate mRNA degradation. miRNAs are frequently deregulated in several pathologies including cancer and cardiovascular diseases. 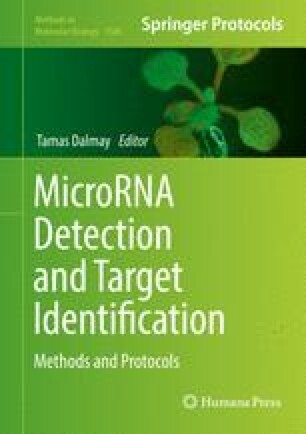 Since miRNAs have a crucial role in fine-tuning the expression of their targets, they have been proposed as biomarkers of disease progression and prognostication. In this chapter we discuss different approaches for computational predictions of miRNA targets based on sequence complementarity and integration of expression data. In the last section of the chapter we discuss new opportunities in the study of miRNA regulatory networks in the context of temporal disease progression and comorbidities. Francesco Russo has been supported by a fellowship sponsored by Progetto Istituto Toscano Tumori-Grant 2012 Prot. A00GRT. Novo Nordisk Foundation (grant agreement NNF14CC0001).